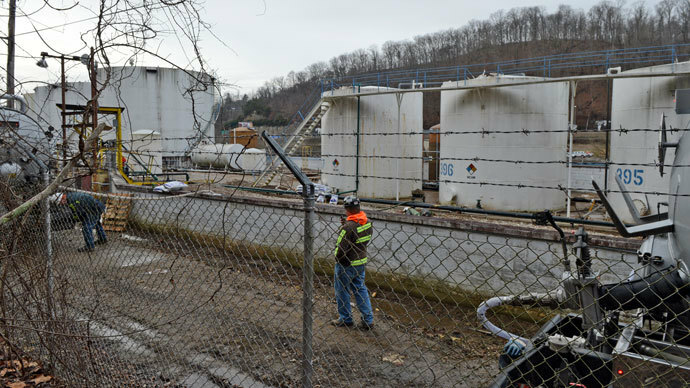 A coal preparation facility breached Tuesday, sending over 100,000 gallons of coal liquid waste leaked from a West Virginia coal preparation facility and into the nearby water supply, officials have announced. 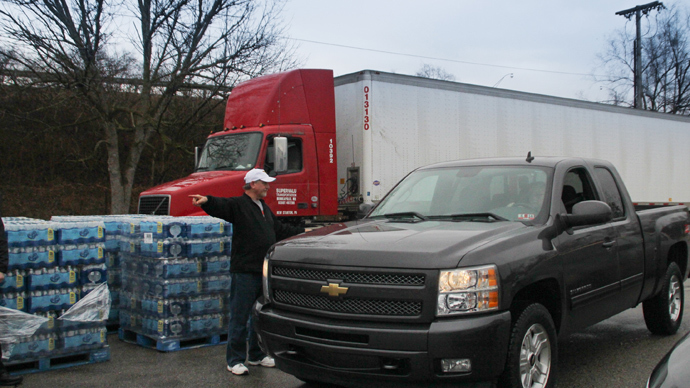 West Virginia American Water, the company responsible for the Kanawha Valley Water Treatment Plant, issued a statement Tuesday saying that the leak is not expected to impact the public water supply. 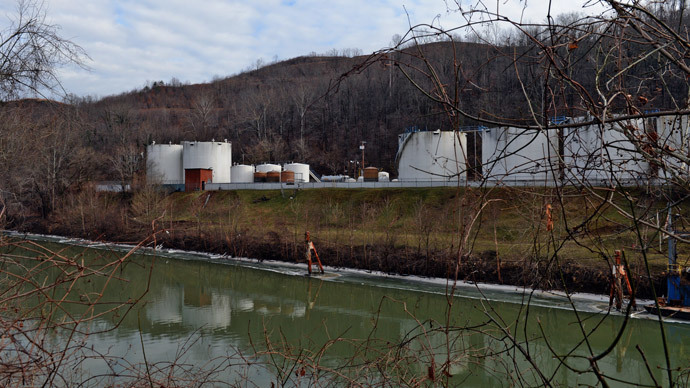 If that proves true, it will be a relief to West Virginia residents who only weeks ago endured a massive chemical spill that spilled crude 4-methylcyclohexanemethanol (MCHM) from a Freedom Industries plant into the Elk River, another tributary of the Kanawha River. The spill occurred on January 9 near the primary West Virginia American Water intake plant and left 300,000 citizens across nine counties without water for weeks. The coal slurry began seeping out of the plant at approximately midnight Monday night and continued doing so until 5:30 am the next morning. It is thought to contain crude MCHM, the same coal-cleaning chemical that leaked into the water supply after the Freedom Industries plant. Emergency responders told local media outlets that the company only reported the spill after 7:00 am. 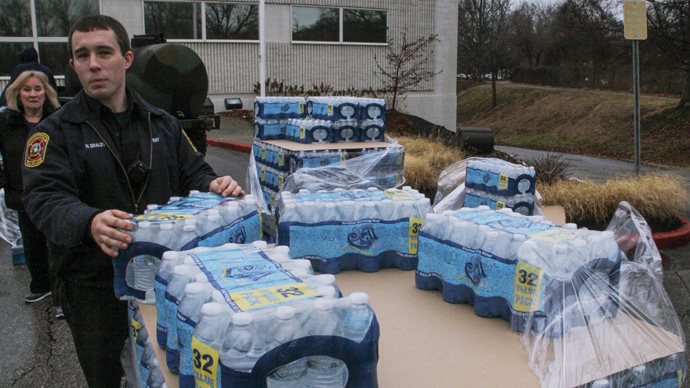 On February 3, after the Elk River leak, a massive pipe under a coal ash pond exploded, sending another 82,000 tons of ash and 27 million gallons of water into the Dan River, not far from the Elk River. Erin Savage, water quality specialist, M.E.Sc. from Yale School of Forestry and Environmental Studies, told Eco Watch, that the time for outrage has arrived. “A spill of a chemical used by the coal industry, a coal ash spill and now a coal slurry spill – the common denominator here is the glaring lack of enforcement of the coal industry which has enjoyed political cover for far too long,” she said. Matt Wasson, director of programs, Ph.D. in ecology from Cornell University said that such reports are evidence the problem could get worse before it gets better. “The coal industry prefers to talk about a supposed ‘war on coal,’ but there spills remind Americans why we have environmental rules and why we need much stronger enforcement to keep our water safe,” he said.